Oh Weekday, you’re back again with another collab and we’re still enjoying everything you’re giving us. This time we’re back with the 90’s staple, FILA and it’s literally everything a girl needs. For starters, not only can us ladies enjoy this drop, the fella can as well. The collection consists of 20 pieces of apparel from leggings, track pants, shorts, windbreakers, sportsbras, t-shirts, hoodies and more. 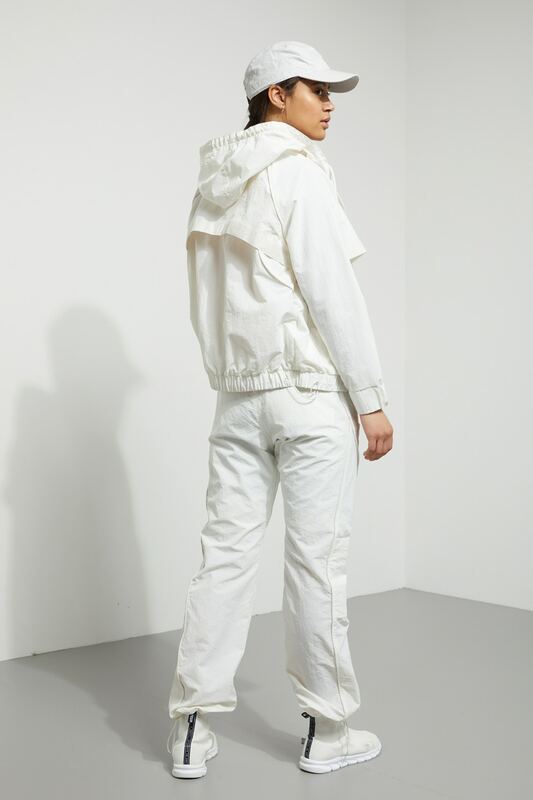 Some of the items in the collection aren’t just simple but some of them include reflective elements and exposed zippers. The outwear is also wind and water-repellent, so you can enjoy the weather this Spring without worry. But, what is shocking here is the sneakers. The sneakers remind you of the Balenciaga sock-runner and we’re sure they’ll probably half the price of the Balenciaga trainers. You’ll be able to shop this collection in-store April 18th and online April 19th.